Team Derby is the sporting identity for the University of Derby. We are committed to improving the performance of the University’s sports clubs. We run a sector-leading performance programme for Badminton, Basketball, Volleyball and Cycling. This programme has been developed to attract and retain our student athletes. 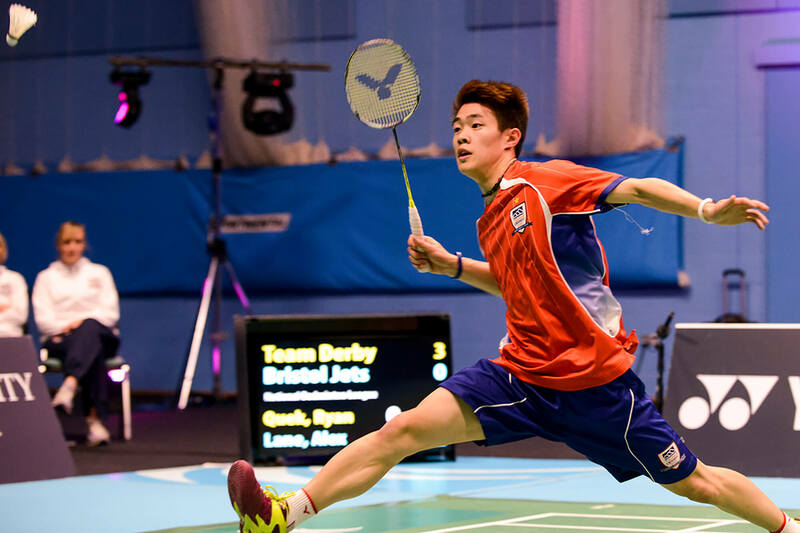 Badminton has been a performance sport for Team Derby for a number of years, resulting in the University club going continually from strength to strength. The first team programme has developed to an elite level with high-performance coaching and class-leading support services that provides our student athletes with a fantastic opportunity to train daily and develop as an individual and as a team player. Team Derby was also a founding member of the National Badminton League, are two-time finalists and were inaugural Champions (2014/15). Following this brilliant success, the badminton programme continues to attract some of England’s most-talented junior players. Both the Women’s and Men’s first teams compete at a high level in BUCS both in team and individual competitions. 2018 was our most successful year to date with the men’s team securing promotion into the premier division and the women’s team into division one. James joined Team Derby as Head Coach in 2015. He is also Head Coach at Derbyshire Performance Centre and Derbyshire Institute of Sport and is GB Para-badminton assistant coach and is currently working with many young England programme players. He is a former junior National Champion, junior European medallist and England senior squad player. James has also travelled with senior England players to top international events, worked as national junior coach for eight years and he has worked at alongside GB coaches at the National Centre in Milton Keynes. To contact James, email teamderby@derby.ac.uk. For performance badminton players, we offer sports scholarships. Our men's Basketball programme provides a fantastic environment for elite and developing players. Players have the opportunity to compete at a high level in BUCS (British Universities and Colleges Sport) and are coached by ex-professionals. The first team programme is bold and ambitious, with a strong performance team culture. Team Derby is striving to continually improve the programme and individual athletes each year. 2017/18 was a successful year, with the men’s first team winning both the Midlands Conference Cup and Midlands Division 1A in BUCS. Team Derby Spartans was formed in 2017/18 to compete in the National Basketball League. The club has three teams, men’s and women’s, and our University coaches are coaches in this ambitious programme. The aim of the club is to develop basketball in the Derby area while performing at the highest standard. The first season in the league was a major success for the team, winning National Division 4 and gaining promotion to Division 3 through the play-offs. 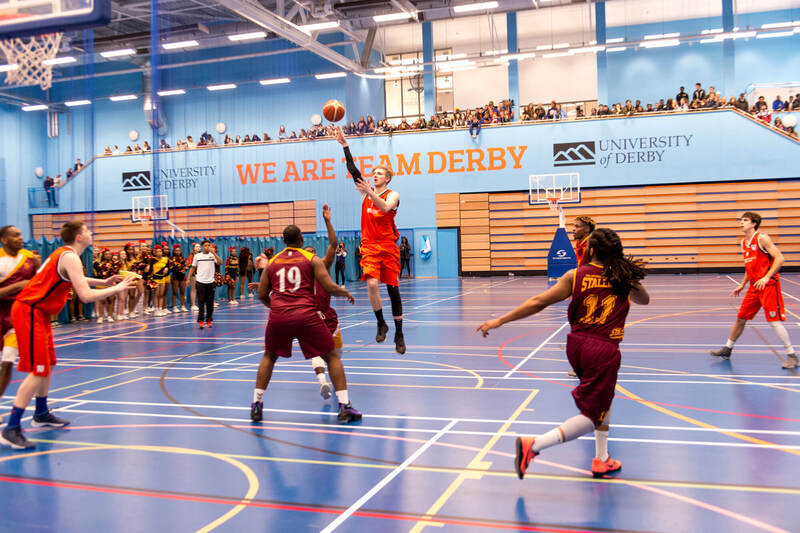 Team Derby are an affiliated partner with Spartans and this provides University players opportunities to compete at a senior level in the English National league. Dan has played and coached for over 15 years, and the sport has taken him around the world. As a coach, Dan has won BUCS Div 1A and Div 2A championships and conference cups with the University of Derby. Additionally, he has won several individual awards as a player and was previously a Team Derby scholar himself - with a BSc in Sports Science and an MRes in Sport and Exercise - winning three straight championships with Team Derby as a student. Dan says: “I have honed my coaching expertise as a scholar while studying at the University of Derby. I have applied this knowledge to developing local grass roots talent for several clubs and have won national championships with youth and college basketball teams. I am excited to coach the BUCS team and play alongside them in the NBL." For performance basketball players, we offer sports scholarships. 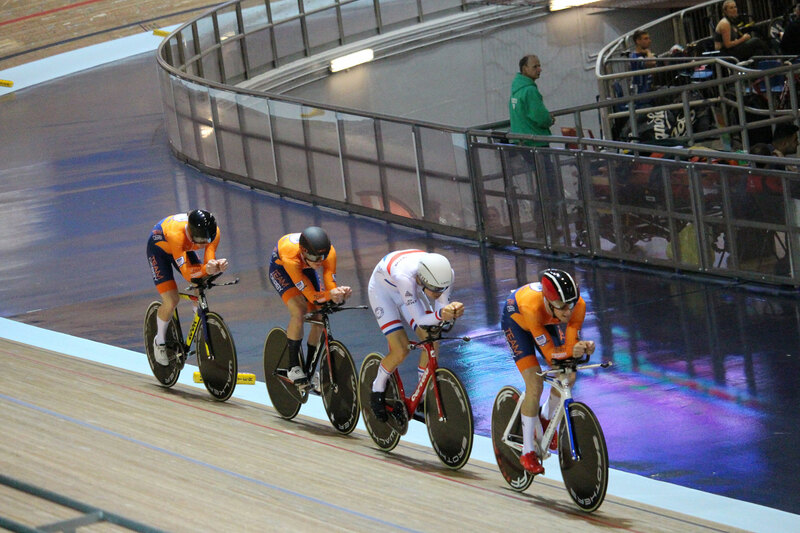 Cycling was Team Derby’s most successful performance sport in 2017/2018 season and we were ranked the No.1 University for track cycling. With a velodrome in the city and easy access to the Peak District, this is a fantastic environment for riders to develop in all disciplines. Derby Arena is the Midlands hub for track cycling and our elite team of track riders access weekly sessions at the velodrome. With the additional support services package available, our programme is a fantastic opportunity for track cyclists to study and develop as athletes. BUCS 2018 on the track: gold in the individual pursuit and elimination, silver medallist in the team pursuit,bronze medallist in the kilo event. As team manager and owner of Vitus Pro Cycling, Cherie is one of the only female sports directors in Europe in charge of a men's professional cycling team. She has been instrumental in helping young riders make the transition to professional ranks. Cherie says: “I have ridden for European teams, including the Swiss based Mazza-Tege Team and the top based Italian team Mapei. I competed with distinction in eight Tour de France Feminine, finishing the race seven times. It is an incredible honour to be working alongside all the other coaches at the University of Derby. I am very proud to be Head Coach for cycling, representing Team Derby." For performance cyclists, we offer sports scholarships. The Men’s and Women’s Volleyball programme provides a fantastic environment for new and experienced players to compete and train. Players have the opportunity to compete at a high level in BUCS and are coached by an ex-professional player. The coaching team are striving to keep improving with the ambition to compete in the University premier league in the next few years. Darkstar is Derby’s National league team, the club consists of men’s and women’s teams and is coached by an all-star coaching team of Audrey Cooper (Olympian and Head Coach of the London 2012 GB Volleyball team and Maria Bertelli (2012 Olympian and current England Coach). The link to the National League side provides the University players with further opportunities to compete at a senior level and further weekly training opportunities. With 20 years of playing experience, Viktoriya has now turned her attention to coaching. She was a member of the national team of Belarus, has competed in the European Championships and played six years in the Russian League. For performance volleyball players, we offer sports scholarships.